"I just wanted to say how impressed I was with your service. I had you convert a Laser Disc, to a DVD. I am very happy with the whole process. You were 'Rocket' fast with the conversion, and the shipping. I am from clear across the country, and you had it back to me remarkably fast and well packaged, taking great care of my origianal Laser ..."
We are dedicated to the effort of restoring and preserving precious sound recordings. 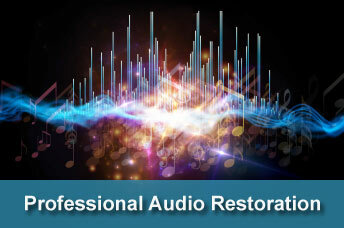 Listen to examples of the music we have restored on our Audio Restoration Examples page. 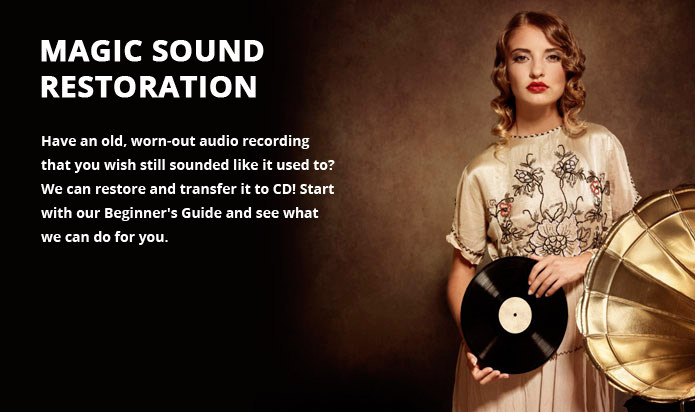 We drastically improve the sound of your original recording (LP, 78 or tape recording) and remaster to CD Sound. - How? Using digital technologies previously not available, powerful studio equipment and experience of the highest caliber. will all be miraculously gone, replaced by pure music, in true CD quality. All at a price point that anyone can afford. - Our pricing structure makes it possible for the first time ever to restore and put on CD one unique recording or your entire collection. 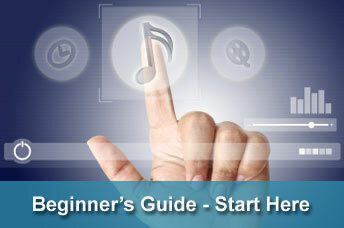 -Now they can actually listen to their recordings, enjoy the music, and play it for others digitally on CDs or MP3, without fear of degrading the quality of their collection! Our customers are REALLY happy with us, and loyal. -Practically all are repeat customers, and they do a wonderful job spreading the word about us. and transfer the cleaned-up remastered recording to crystal clear audio CD (and optional MP3).